On a break from Cairo, here’s a little number from beautiful East Gippsland. If you’re in that neck of the woods (think Lakes Entrance way), make a beeline for this little beauty. favourite spot for boaties, fishermen and birdwatchers. farmer’s market on the second Saturday of each month. 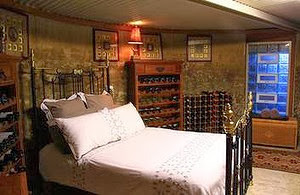 Cost: From $240 a night. Distance: 3.5 hours’ drive (310km) east of Melbourne. This story, written by Belinda Jackson, is part of 52 Weekends Away, published in the Sydney Morning Herald newspaper. a pyramid by the fingertips. all Egyptian (including one suspiciously blonde one in the middle). literally corralled us into a private car park to negotiate the hire of two caretas (carriages) and two horses. 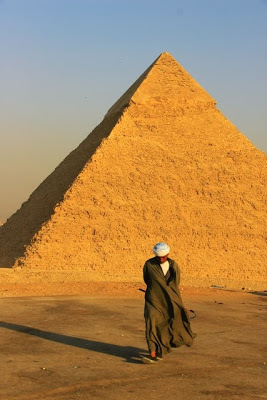 to know not even the locals can resist the Giza Pyramid mafia. you this: Egyptians visit the Pyramids in a whole different way to us foreigners. snavelling basement-bargain travel. That’s all. grey mare, Sousou, is surely the fastest pony in Giza. ponies’ hooves, snapping at ankles as you pass. that you can never take even heroic art and architecture for granted. At the feet of the gods, Abu Simbel, Egypt. Photo: Belinda Jackson. There’s a lot of change going on in Cairo at the moment, but some things, thankfully, remain the same. 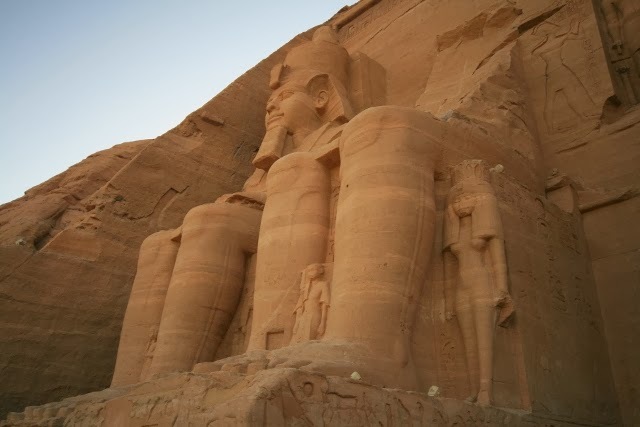 Later this morning, the sun will touch the face of King Ramses II in the magnificent Abu Simbel temple, south of Aswan, by the Sudanese border. The temple, built in 1257BC, was constructed so that twice a year, the sun’s rays would shine into the inner sanctuary and light all but the statue of Ptah, the god of the Underworld, reports the Ministry of Tourism today. The two days of the year are October 22 and February 22. Horakhty and Ptah and also to Ramses, who rather fancied himself as a deity. You can see a live streaming of the event on www.youtube.com/egypt or on local television, if you’re in Egypt. The phenomenon will occur at 5.53am local time, and last for 20 minutes. A day spent swimming and patting lion cubs: in all, an excellent day in Egypt. internet, curfews (thank you, revolution) and not even a chemist for lousy cold tablets. have their summer getaways, in the form of luxe tower apartments and chic chalets. 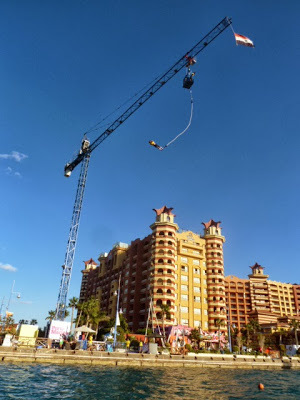 Porto Marina and a foolhardy bungee jumper. take a snap without producing the gold. admired her beautiful eyes without complaint. Build it and they will come. Or will they? 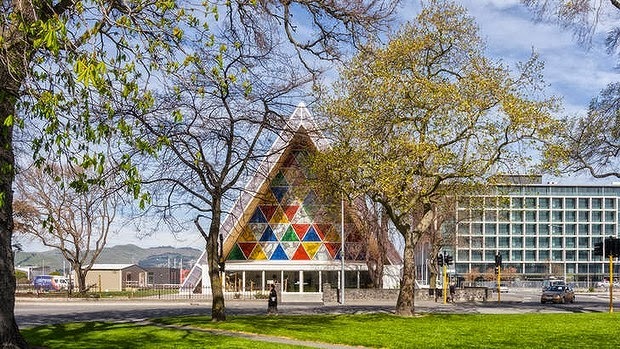 Belinda Jackson rounds up the best newcomers on the architecture scene. Antoni Gaudi’s Sagrada Familia basilica, in Barcelona. 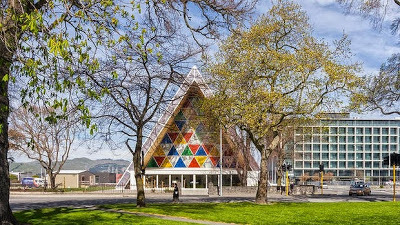 The Cardboard Cathedral, New Zealand. at just 322 metres high. 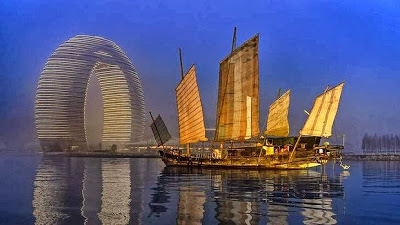 of Zaha Hadid curves in Asia. underwater, won’t open till 2015.
architectural statements going up around the world. make them fabulous: they have to be beautiful, too. until a couple of decades ago. pointy tower that won’t fit in your camera lens? 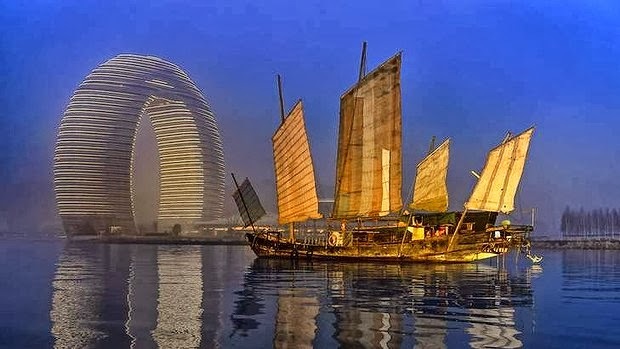 should win dinner parties as the ultimate Shanghai weekender. 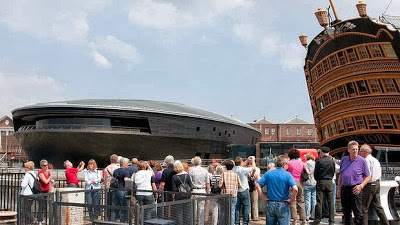 even be completed before the original is finished, in 2014. Architecture Festival at the Marina Bay Sands in Singapore (indochinehotel.vn). name the Amazon display as the best in show (denblaaplanet.dk). 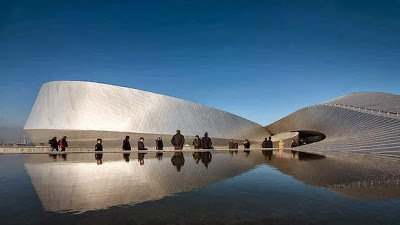 The aquarium has just won its category for display architecture at the 2013 World Architecture Festival. energy – sensibly, given it’s built in a sunny desert. 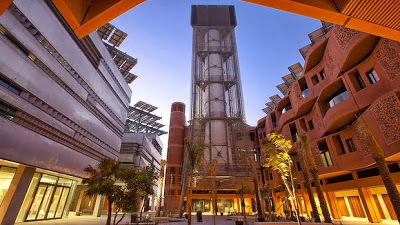 towers, or barjeels, Iran’s ancient alternative to air-con (masdarcity.ae). residencies with a price tag from £30 million ($50 million) (the-shard.com). Crown Sydney resort at Barangaroo (maryrose.org). decades and more than $60 million spent on planning and construction. hills of South Devon and will be completed in 2014 (living-architecture.co.uk). 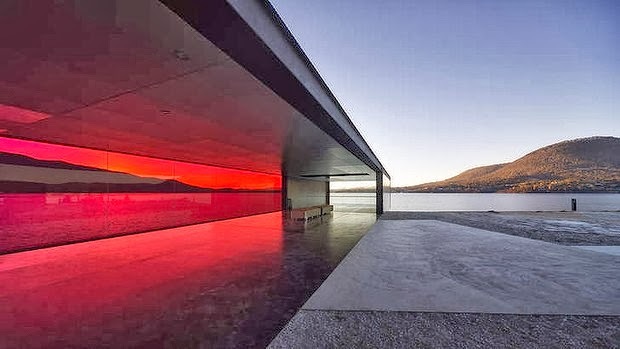 another fine architectural statement, Museum of Old and New Art (MONA). minutes to GASP! (gasp.org.au, arts.tas.gov.au/artsatwork/artbikes). Found in Melbourne; costs $39, phone 0407 380 969; see meltours.com.au. Costs from $30; phone 0403 888 390; see sydneyarchitecture.org. Costs from $10; phone +312 922 3432; see architecture.org. Found in Tel Aviv, Israel; costs $18; see bauhaus-center.com/tours.php. Found in Scotland, phone +44 1620 825722; see edinburgharchitecture.co.uk. landscape architects Taylor Cullity Lethlean (nationalarboretum.act.gov.au). hiding it from street view (princealfred.org). This feature by Belinda Jackson was published in the Sydney Morning Herald newspaper. A young camel for sale in the souk in Nasr City. lead-up to Eid al-Adha, the great feast. the slabs of beef, lamb and goats’ meat that hang in the open air. between the family, the poor and the freezer. 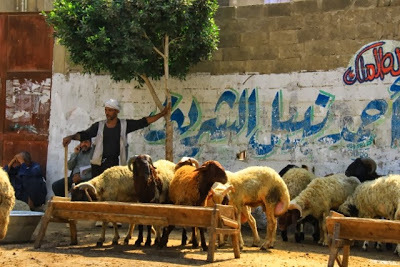 Sheep on a Cairo roadside, awaiting a buyer. pigeons and rabbits. 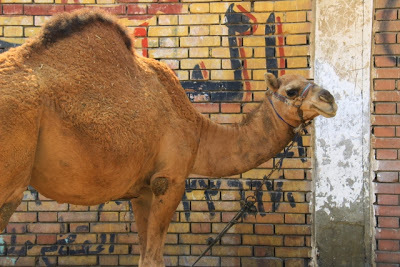 Standing separate from the melee, a young camel stands awaiting a buyer. hats and new clothes, and tomorrow? 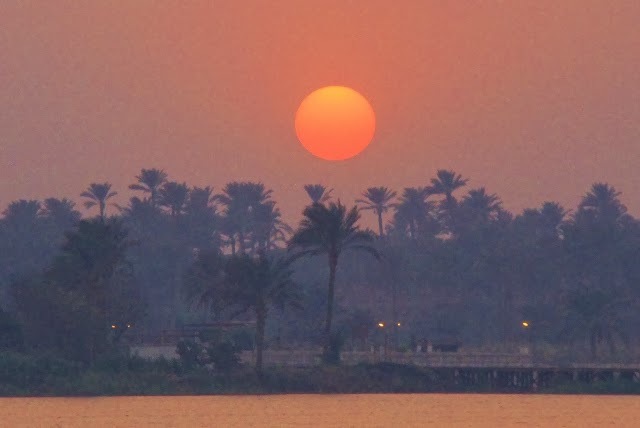 Of dusty plains and no-fly zones: welcome to Cairo! other big names don’t want to go. transit time in Singapore, as our incoming flight was late. 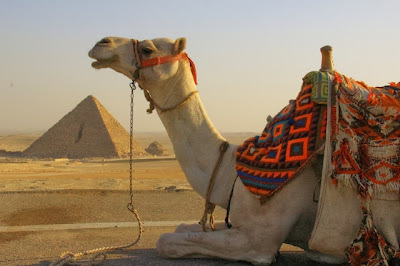 Tagged: Singapore, Travel, Welcome to CairoLeave a Comment on Of dusty plains and no-fly zones: welcome to Cairo! There’s a world of ideas for a mother and daughter getaway with it all, writes Belinda Jackson. teacher of essential life skills? daughters. “It’s effervescent, elegant and timeless,” she says. along Via Condotti. The 10-night tour departs Florence on June 7, 2014. Costs from $6699 a person, twin share. Phone 0408 721 569. See travellingdivas.com.au. Revel in the flash and dash of fashionable Tokyo then soak up the tranquillity of a Shinto shrine in the Japanese countryside. on the list, there is time for peace and reflection on this journey. stores and Tokyo’s hip strips. Costs from $11,185 a person, twin share. Phone 1300 851 800, see abercrombiekent.com.au. Shopping is bonding, says Karen Parker O’Brien, who leads private shopping tours of New York City. take you into private showrooms and studios. limo tours from US$500. See karen@styleroom.com, styleroom.com. Barcelona before venturing north to Bilbao, Navarra and La Rioja. Arzak, rated eighth in the world by San Pellegrino. 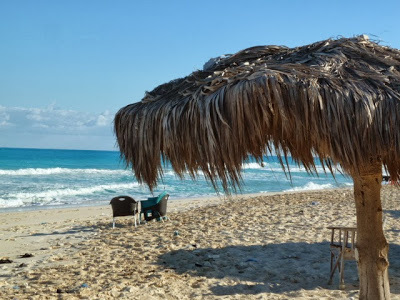 Sebastian or into tavernas run by elegant septuagenarian ladies. 2014. Costs $10,000, phone 0419 580 381, see mariekesartofliving.com. 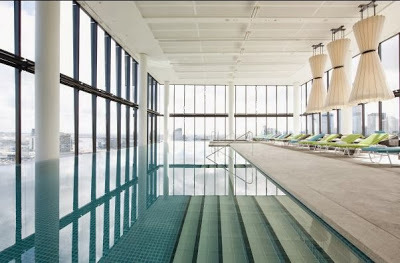 Crown Metropol’s sky-high pool, Melbourne. television’s most glamorous mum-to-be, Nina. twin share. Phone 1800 056 662, see isikaspa.com.au. nights. 1800 212 011, goldendoor.com.au. $472 (from October 30 to December 4). 1300 987 604, mantra.com.au. share. (02) 4883 6027, solarsprings.com.au. Written by Belinda Jackson, published in Sydney’s Sun-Herald newspaper. It’s late, I’m slogging away on a deadline about Sri Lanka. Ok, I’m not. I’m blogging instead. 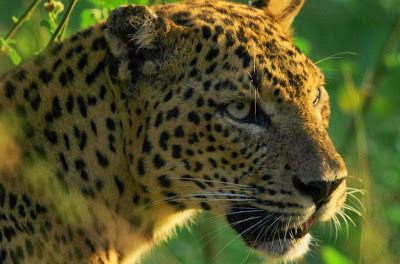 But to take a break from wringing words from a bleeding brain, I started hunting for photos to accompany the piece, which has a breakout on leopard spotting in Yala National Park. And you know those weird things that get in your computer system and fidget with your photo catalogues? Yes, those. They were in there, and this is the photo they lost. 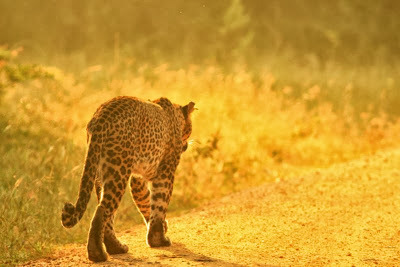 The young female leopard was standing on the side of the dirt track we were cruising in our 4WD. Noel Rodrigo, internationally hailed as Sri Lanka’s leopard whisperer, saw her and pulled up sharp. She wandered across the track in front of us, then padded along the dirt road before turning back into the scrub. Within seconds, she had disappeared from view once again, a ghost in the jungle. Noel’s camp is located around the back entrance to the park: up to 400 trucks pour through the main gate every morning, cowboys roaring through the park, two-way radios blaring, each promising a glimpse of these elusive cats. We crept in the back gate early and slowly to find our girl. And now I’ve found her again. 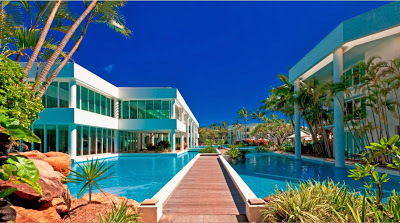 The Sheraton Mirage Resort & Spa, Gold Coast, Qld. Grab an off-peak bargain on Britain’s trains or in Bali’s villas, be one of the first to see the revamped Sheraton Mirage on the Gold Coast, or splash out with the kids in Malaysia, a truly family-friendly country. Go on, you’re worth it. stay four and pay three nights, from $870, until December 22, (07) 5577 0000, sheratonmiragegoldcoast.com.au. 12, 2014. From $185 an adult for a three-day pass, raileurope.com.au. 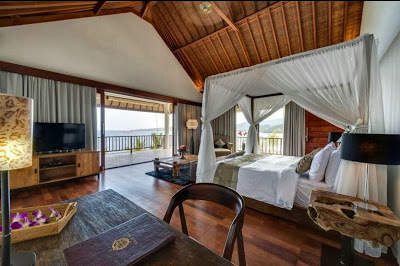 The main bedroom, Villa Asanda, Bali. range from three to six bedrooms, from $420 a night, three-bed villa, marketingvillas.com. 30, from $1790 a person, 1300 696 252, myholidaycentre.com.au/Malaysia. This article was written by Belinda Jackson and published in Sydney’s Sun-Herald newspaper.